The open mic list goes out at 7:30pm and is open to stand up comedians, poets, songwriters, musicians, storytellers, and performers of all types. Nashville. The Band is a comedic band whose message is a curious blend of fanatical patriotism and bleeding-heart liberalism. 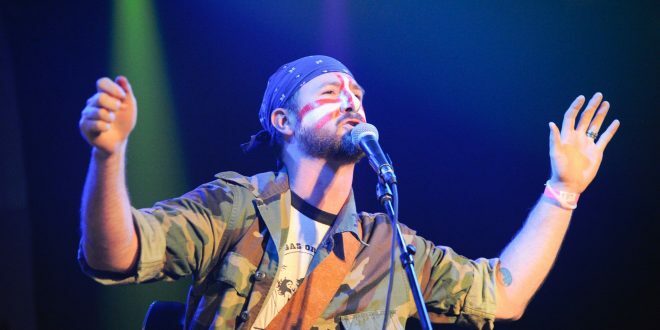 Veterans of The Chicago Sketch Comedy Festival and Laughingstock: The Chicago Comedy Music Festival, Nashville presents an energetic live show with moments of pathos, patriotism, and a parade of laughs. Get Up Stand Up South will be hosted by producer Josh Dunkin and local comedian Troy Colbert. After twelve years in the trenches of the Chicago comedy scene, Josh Dunkin and his family relocated to Hendersonville in September of 2015. Josh was co-producer of Laughingstock: The Chicago Comedy Music Festival, a yearly festival for comedy music, now entering it’s fifth year. Josh was also a writer, director, producer, and performer in the long-running, smash-hit Bye Bye Liver: The Drinking Play and has produced shows in cities all over North America including Chicago, Toronto, Boston, Philadelphia, Nashville and more. Josh and some fellow comedians began Get Up Stand Up in 2014 at Chicago’s Public House Theatre, where the show continues it’s weekly run to this day. Troy Colbert is a Hendersonville native who made his triumphant return in 2014 after twenty years of traveling the country working in politics. Observational in tone, Troy looks at the absurdity of everyday life and people, matching a quick wit with a brilliant mind in a relaxed, conversational comedic voice. Sanctuary Brewing Company, located in the heart of downtown Hendersonville, is known for it’s amazing craft beers and unabashed dedication to animal rights. Each night, the brewery serves up a rotating list of sixteen handcrafted beers of all styles and imaginings. Tickets: Get Up Stand Up South is a free show.